The SOS Mata Atlantica Foundation stands up for the native species of the Atlantic Forest, vegetation that at one time covered 62 per cent of the Brazilian territory. 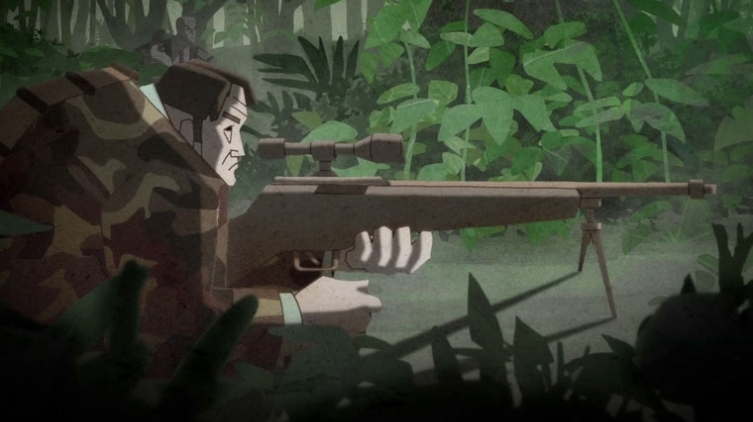 An animated 1-minute film features gun-toting soldiers in business suits unleashing firepower on the Brazilian forest, to pave the way for buildings and cities. A powerful metaphor for the destruction of nature by man, the commercial compares the few trees that have survived urbanization to War Veterans.